How Far is Mylai Meadow ? 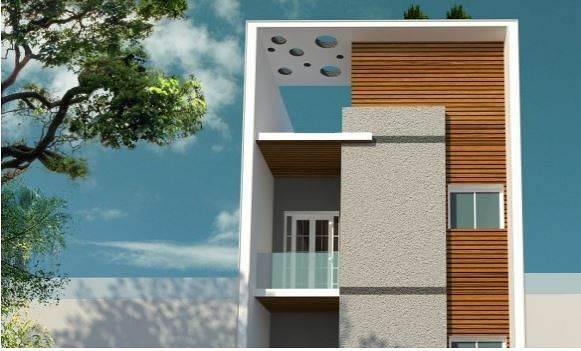 Mylai Medow project is an oasis in Mylapore – The heart of the bustling city, with booming appreciation and all the required amenities at your door step from schools, colleges, hospital, Mall, and more just minutes away from the location of the site. Granite flooring at the entrance and the staircase area. Living, Dining, Kitchen, Utility and all bedrooms is 2'X 2' Vitrified tile Flooring make of Kajaria / Jhonson / Somany. Balcony is Anti-Skid Ceramic Tile Flooring of Kajaria/ Jhonson / Somany. All Bathrooms is Anti-Skid Ceramic Tile Flooring of Kajaria/ Jhonson / Somany.. Premium Emulsion for Internal Walls & Ceiling. Approved Weather Proof Emulsion Paint finish for External Walls with Combination of Sheraboard Finish. Anti-Skid Ceramic Tile flooring with Glazed Tile Dado up to Lintel level. Chromium plated quality fittings of Parryware Hot and Cold water wall mixer for showers. Health faucet for all the Toilets. Granite Counter Wash-Basin in Master Bed Room Toilet. Black granite platform with Stainless sink for kitchen platform. Ceramic Tile dado up to 2' feet above kitchen Platform. Provision for water Purifier above the kitchen sink. Utility will have provision for inlet & outlet for Washing Machine. Granite platform with SS Sink in utility. Main Door Teak wood Door Frame with Melamine Polished Shutter with high lock. Bedroom Door Teak Wood frames with flush shutters in enamel finish. Toilet Doors Teak wood frame with water proof flush shutter in enamel finish. All ventilators are UPVC louver type with provision for exhaust fan. TV point in the living room, Master Bedroom & all Bedrooms. Fire resistant electrical wires of Orbit brand. Earth Leakage Circuit Breaker for each apartment. Electrical Modular switches of Anchor. Carparking area shall be provided with concrete tile flooring. Sri Devi Constructions, believe in. With decades of experience in the construction industry, we have understood our client and have provided them the finest. Each project is done with utmost care and dedication and we work only to bring your dream to reality. We, Sri Devi Constructions believe in creating innovative homes for a better living. Being in this industry for decades, we at Sri Devi Constructions are aligned with the changing market. We see our strengths in the quality of our work and our genuine relationships with our clients. We see our success through unswerving performance. We see our future shaped by all that has made us successful in the past. We just don’t build homes with bricks and cements but relationship by taking personal care in every project.